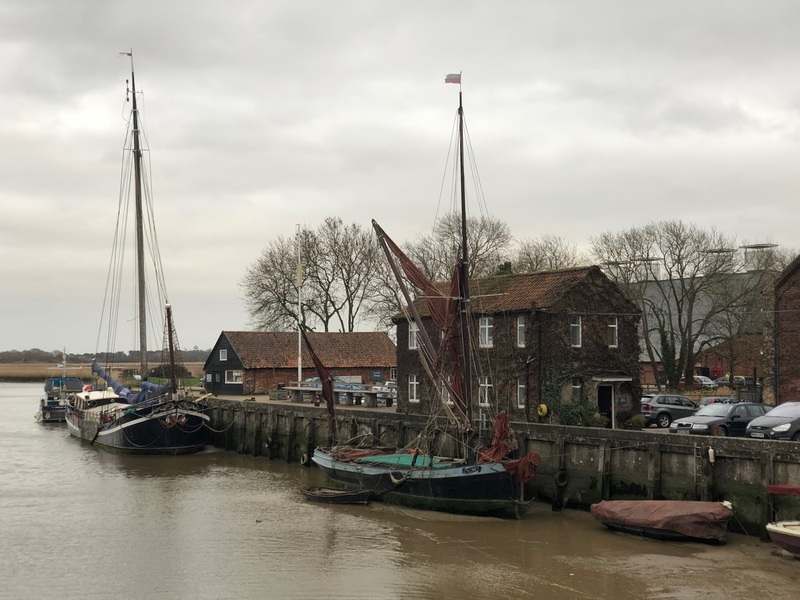 Snape Maltings was the venue for Aldeburgh Music Club’s performance of a programme entitled ‘The Amazing Mr. Handel’ on Saturday 16th March 2019. The performance featured the Coronation Anthems [HWV 258], Water Music Suite in G [HWV 350], Concerto Grosso Op.6 No.9 [HWV 327], Chandos Anthem No.7 'My song shall be alway' [HWV 252] and the Chandos Anthem No.4 'O worship the Lord in the beauty of holiness' [HWV 249b]. Trumpeters Russell Gilmour, Will Russell and Gareth Hoddinott performed with the Suffolk Baroque Ensemble under the direction of Edmond Fivet. A large audience filled the main hall at Snape Maltings and the choir of the Aldeburgh Music Club gave a great rendition of these choral works accompanied by the excellent orchestra - led by violinist Alison Bury. The four excellent soloists were Zoë Brookshaw (soprano), Polly Leach (alto), Chris Bowen (tenor) and Kieran Rayner (bass). I combined my visit to Suffolk with a visit to my former teacher's house to continue to learn the craft of making natural trumpets under his expert guidance. I took three hand seamed tubes that I had brazed and finished at home and I learnt about the process of bending them into bows. It was fascinating and I learnt a lot. During the rehearsal, a 1 peso coin from the Philippines (about the size of a ten pence piece) dramatically flew out of the bell of my trumpet at the end of one of the Coronation Anthems. I do not believe that it has been stuck inside the bell since I was there in November... I think the coin must have fallen out of my wallet into my case and got wedged in the lining, then I must have recently turned my case upside down and the coin must have come loose and fallen into the bell. I felt the coin rotate to close the airstream off, a sudden pressure built and then fired the coin about two metres in front of me. Fortunately there was nobody in close proximity!